Fresh air and exercise may be going by the wayside for little ones, suggests a new study that found preschoolers in child care centers often don't get enough outdoor play time. The new research, published in the American Journal of Preventive Medicine, showed that only three in 10 children in full-day child care programs got at least 60 minutes of outdoor recess. Researchers from Cincinnati Children's Hospital Medical Center studied more than 380 children, ages 3 to 6, who were enrolled at 30 different child care centers. Between November 2009 and January 2011 they visited the centers, measuring the children's activity levels with accelerometers and taking into account factors such as indoor and outdoor play equipment, playground square-footage, and the number of balls and pieces of riding equipment. The scientists found that 90 percent of the centers reported scheduling two or more outdoor sessions daily, yet only 40 percent of children took part in two or more outdoor play sessions. Nearly a third (32 percent) had no time outdoors at all. "We know daily physical activity is essential for children's growth and development," said senior study author Dr. Kristen Copeland, a researcher in the Division of General and Community Pediatrics. The study noted children need exercise to boost heart and bone health, and it has been linked to improving mood, attention and cognitive performance. And of course, physical activity plays an important role in preventing obesity in children. "This study shows if you do give outdoor time, children will be more physically active," Copeland told CBS News. "What happens in child care centers has important and lasting effects for children's total daily levels of activity." The National Association for Sport and Physical Education (NASPE) guidelines for preschoolers recommend 120 minutes of physical activity daily. Copeland said inclement weather can play a role in keeping preschoolers indoors, but weather-appropriate clothing, even short periods of outdoor activity, or indoor play facilities could improve active time at child care centers. "You can always push tables out of way, do dancing. But ideally, having a space where children can run around, even inside, can increase physical activity, too," she said. The authors wrote that the majority of U.S. preschoolers (56 percent) spend time in day care centers. Playing outside is especially important for children who don't have active-time at home, Copeland added. She said some parents may feel that outdoor time takes away from "learning." But children learn through physical activity, too, she said. 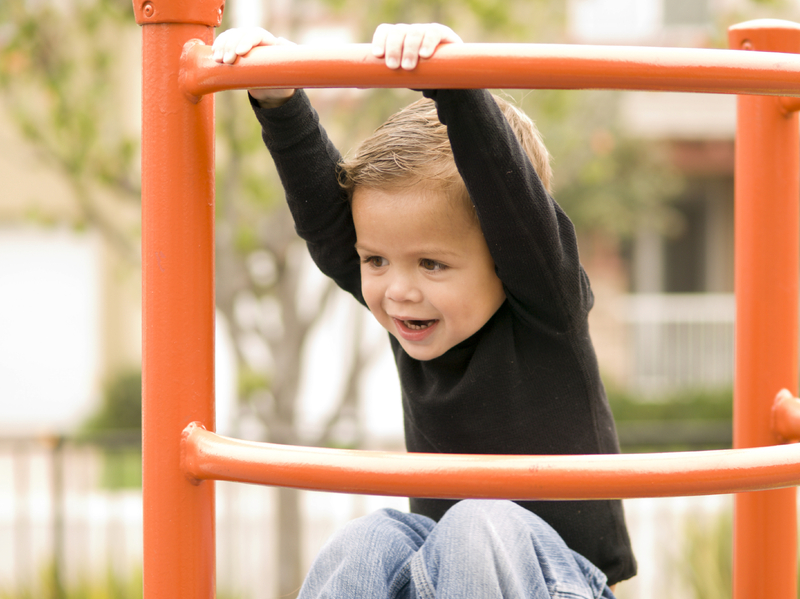 "Based on previous research, we know that gross motor skills are so key. Kids this age are learning to skip, throw a ball. Those gross motor skills are a really important part of growing up, of their development -- just as important as learning their letters and learning about math." Copeland added, "I think if the child care centers adhere to the schedules they have posted, children could meet physical activity recommendations."